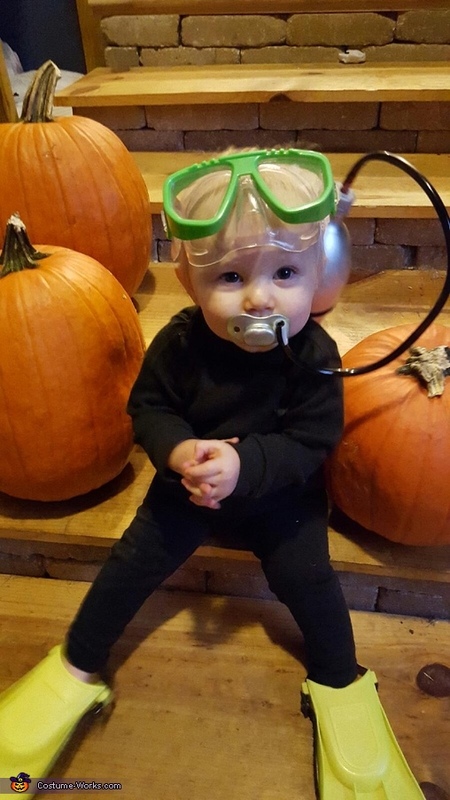 Ready to explore the ocean floor! Our almost 10 month old baby girl, Aimsley loves the water!As soon as she sees water she gets so excited and tries to jump out of our arms to get to it. We even gave her a nickname because of it! Minnow! So for Halloween we decided since she can't pick it out herself we would make it have to do with what she loves most. A friend sent us a picture of this idea and Aimsley's Grandma made it happen for us!